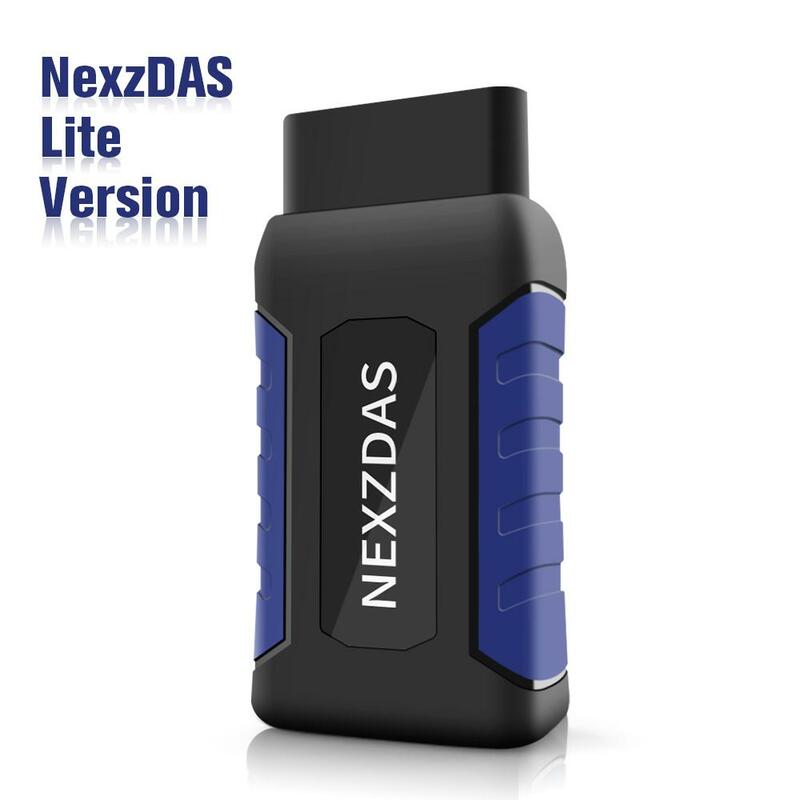 NexzDas Lite Version is new released VXDAS brand cost-effective professional diagnostic tool. 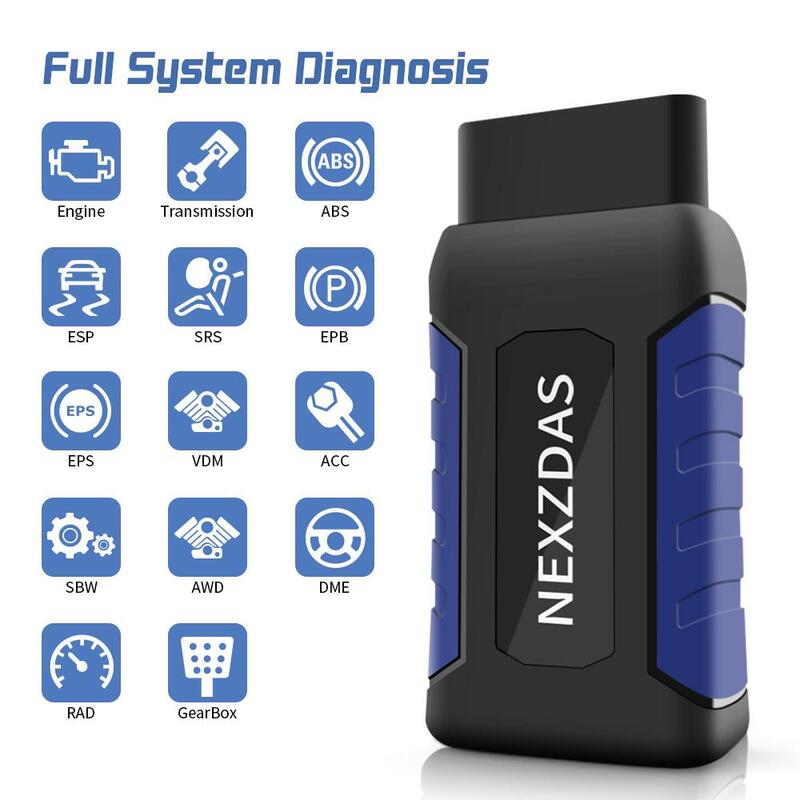 NEXZDAS Lite with full access to full system scan Engine system, ABS system, SRS system, Transmission system, etc. 2. 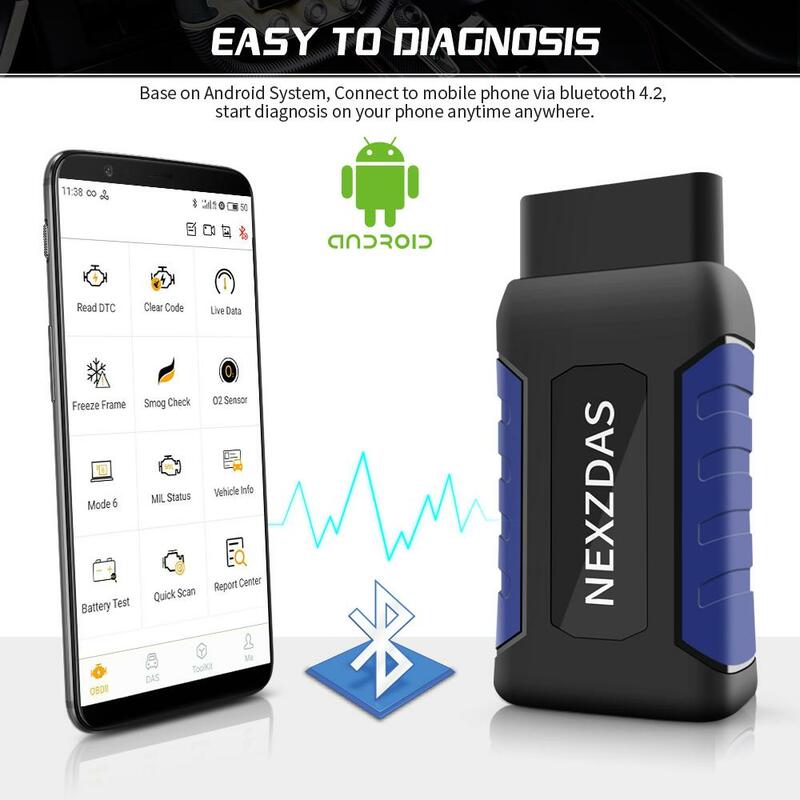 NexzDas Lite Version Scanner is a full System scanner tool that delivers multi-function diagnosis for different car brands. 3. 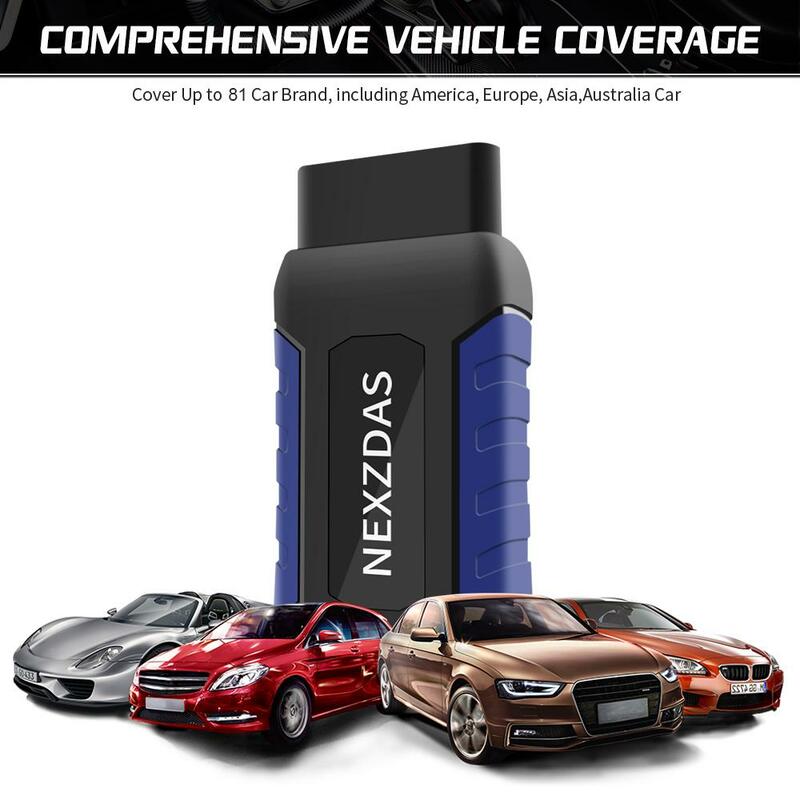 All inclusive software coverage - European, American, Asian and Australian prevalent vehicles. 4. 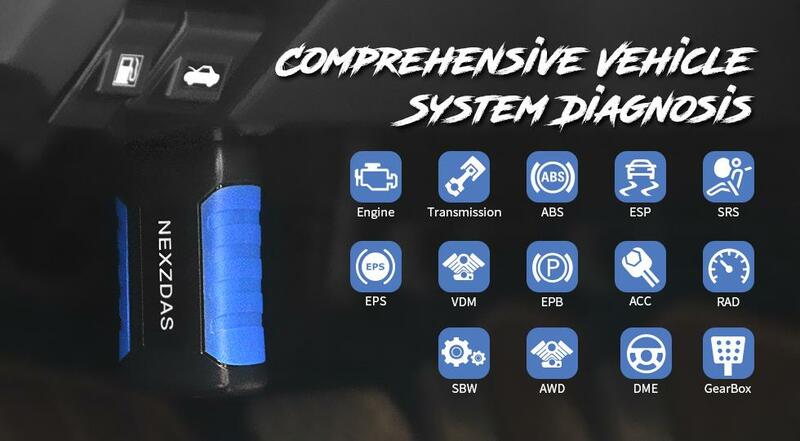 Designed with the technology of anti-drop and dust-proof , ensure diagnosis tool will be around for a long time. 5. 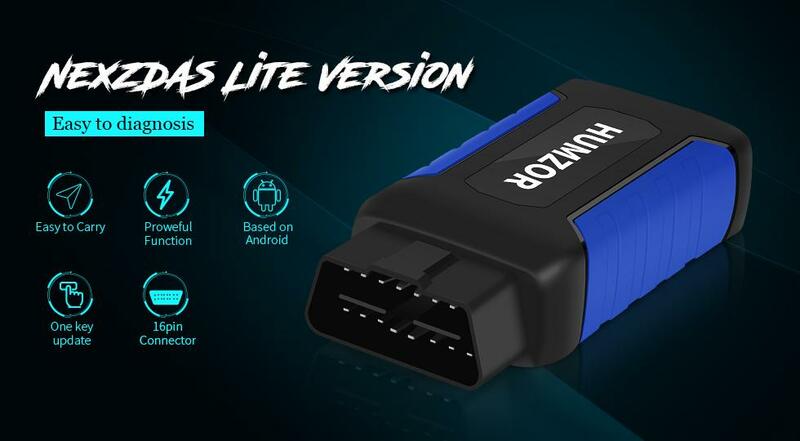 OBDII diagnostic connector has a wide compatibility, which don't need to replace other connector, during the testing. 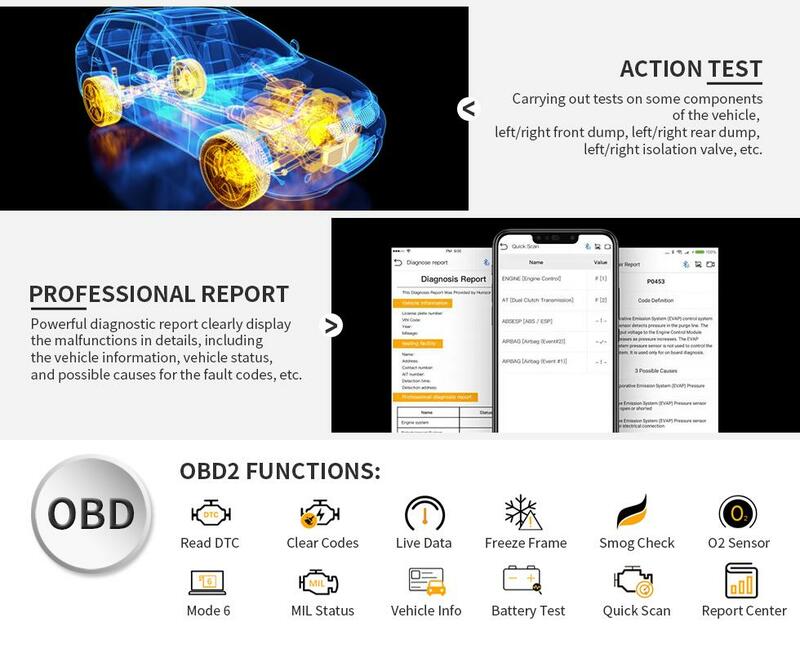 Action Test: Carrying out tests on some components of the vehicle, such as test Headlights, rear mirrors, seats, injector, the volume of the sound, water temperature meter etc. Read and clear codes : for the whole electronic systems. For each DTC, a report can be generated, greatly increase the diagnostic efficiency. 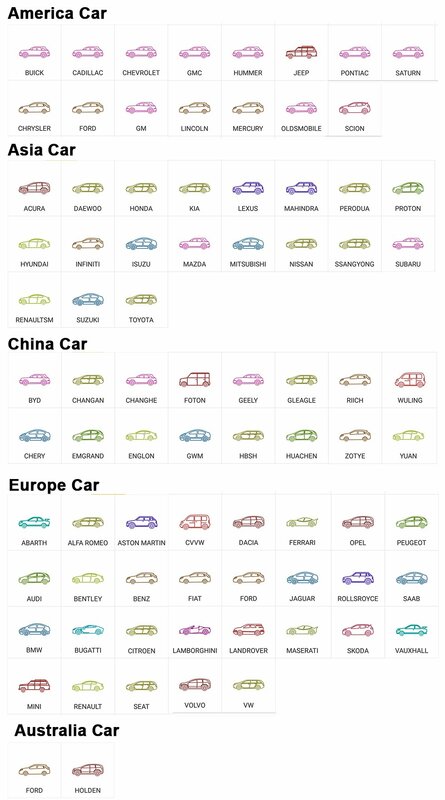 America Car: for Buick, for Cadillac, for Chevrolet, for Chrysler, for Ford, for GM, for GMC, for Hummer, for Jeep, for Lincoln, for Mercury,for Oldsmobile, for Pontiac, for Saturn, for Scion. One-Key DTC Query: nearly 40,000 databases available for you to search code definition and description. One-Key Data Manage: check the stored information at any time and anywhere, both images and videos. One-Key Feedback: Multi-methods to contact us and feedback your questions by clicking the button at the top right corner. One-Key Update: Get new version upgrade information in time and choose to update it at fast speed within App. 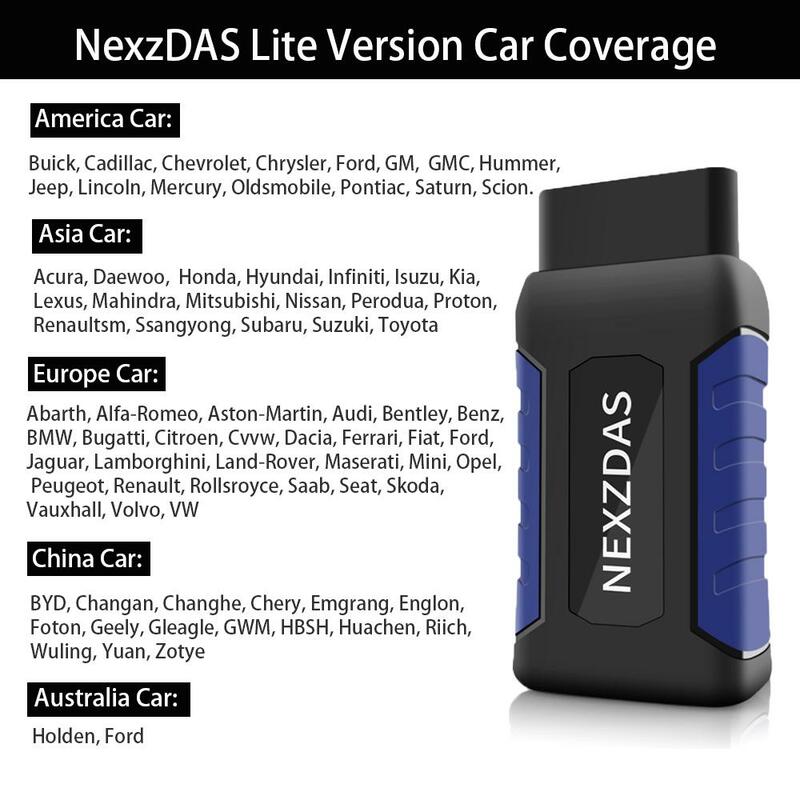 4.This link is NexzDas Lite Basic version, without special function included. If you need a special function in the future, you just need to pay the external price to upgrade. 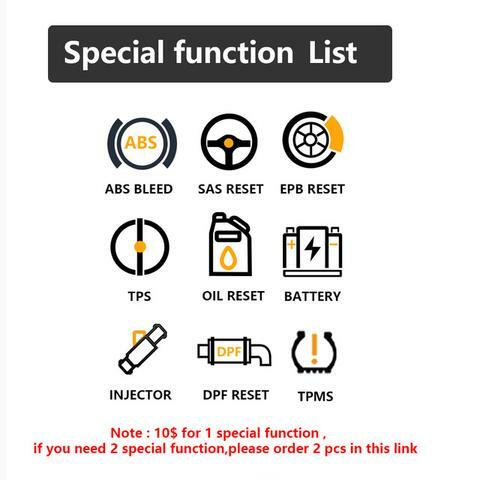 After payment, just keep our order number & product's serial number contact our sales, we will open a special function for you in our system.